When I saw that there would be an exhibit on Emily Dickinson at the Morgan, I was very excited but somewhat surprised. It’s exciting that many manuscripts, so instrumental to the study of a poet who herself never published, are so easily available to the public, and it’s honestly quite surprising that the Morgan managed to gather these items from the many institutions that hold them. Considering all the drama that surrounds Dickinson and her remaining physical possessions, it is monumental that this exhibit even exists. It was not until the 1950s that a complete edition of all known poems was published in quite faithful form. Over the past few years, scholars have increasingly been trying to get back to Dickinson’s manuscripts. It seems that there has been a common acknowledgment that transcription, like translation, is heavily interpretive. In 2013, the Dickinson scholar Marta Werner and visual artist Jen Bervin published The Gorgeous Nothings, a groundbreaking and beautiful book that presents Dickinson’s late envelope manuscripts. Each of Dickinson’s writings is printed in full size and color, along with spatially faithful transcriptions that aid in deciphering her handwriting. The layout encourages the reader to look at each manuscript both as a work of art and a text, paying attention to how the envelopes themselves appear, folded and cut in different ways. 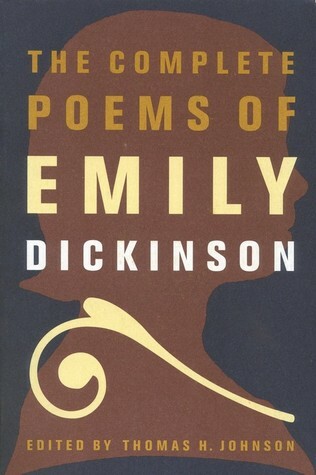 In the same year, the Emily Dickinson Archive went live, bringing together digitized versions of all poem manuscripts that had appeared in Ralph Franklin’s complete edition of Dickinson poems. Last spring, Cristanne Miller became the third person to edit a complete book of Dickinson’s poems, this time including variant words that Dickinson noted in her manuscripts. Instead of organizing the poems as a reconstructed chronology, Miller presented them “as [Dickinson] preserved them”: some hand-bound in little booklets known as fascicles, some folded into unbound booklets known as sets, others only rough copies or transcriptions made by friends. These scholarly advances, however, have not been smooth or easy due to controversy and conflict over the physical items that form the basis of Dickinson studies. Dickinson sent many manuscripts off to friends in the mail, and the enormous remainder—well over a thousand manuscripts and other items—were divided after Dickinson’s death between her sister-in-law and childhood friend, Susan, and a neighbor, Mabel Loomis Todd. There was one large complication: Mabel was deep in an affair with Austin, Emily’s brother and Susan’s husband. Ever since then, the majority of Dickinson’s manuscripts and possessions have been stuck in the middle of a war between two houses. Eventually, the manuscripts residing with Mabel were donated to Amherst College, while those in Susan’s possession ended up at Harvard. The rivalry was bequeathed with the manuscripts. Amherst and Harvard have thus been the two major players, along with some others like the Morgan Library, New York Public Library, Yale, and Boston Public Library. Each institution approaches their holdings differently. Boston Public Library has the letters and poems Dickinson sent to T.W. Higginson, her long-time correspondent. These are stamped in purple with the words “Boston Public Library” and have long been available, unpretentiously, on the library’s Flickr site. At Amherst, the collections are digitized, and the curator, Mike Kelly, is attentive when giving special tours of the collections. He points out how a dashed line separates the top and bottom portions of the envelope on which Dickinson wrote “The way Hope builds his House,” as if delineating a roofline. Harvard is the institution I find troubling. It is in a privileged position because it holds the copyright on Dickinson’s work, which is also significantly lucrative, as the tour guide pointed out when I visited the Houghton Library. When publishing editions of Dickinson’s poetry, scholars must work through Harvard. However, some publishers like Barnes & Noble evade Harvard’s restrictions and willingly disseminate misinformation by republishing the heavily edited editions that are now out of copyright. When the Emily Dickinson Archive was being created, using manuscripts from Harvard, Amherst, and other places, Harvard had the upper hand and pushed for only including those manuscripts of the poems published in Franklin’s edition. Harvard also owns most of Dickinson’s possessions, which means that in Dickinson’s house–now the Emily Dickinson Museum owned by Amherst College–most of the paintings and furniture are replicas. Harvard tends to be jealous in respect to those items, too. The portrait of Dickinson and her siblings, as Holland Cotter mentions in his article on the Morgan exhibition, didn’t leave Houghton until it came to the Morgan. When Dickinson scholars convene every year at the Emily Dickinson International Society Conference, Harvard rarely gets involved, whereas Amherst College hosts the conference every three years. Though Harvard is not as collaborative as some have hoped, it is worth noting that the Harvard professor Helen Vendler has produced one of the best books on Dickinson poetry for the common reader: Dickinson: Selected Poems and Commentaries. These complications lead to scholarly and institutional catfights. New projects are often met with a hushed tension, and I find it no surprise that this feat of an exhibit at the Morgan was put together by a Morgan curator and Amherst’s Mike Kelly, with scholar Marta Werner, the poet Susan Howe, and an Amherst College professor helping to produce the exhibit catalogue. Harvard, though lending some of its items to the exhibit, is conspicuously absent from its curation. The exhibit itself is small but nice, located in the same room that contained the exhibit about one of Dickinson’s beloved authors, Charlotte Brontë, in the fall. It contains a smattering of manuscripts, books owned and read by Dickinson (including her copy of the Bible), the few (possible) portraits of her, and some other related materials. The walls are covered in a floral print, a replica of Dickinson’s wallpaper, based on yellowed scraps discovered during a restoration of her bedroom. The exhibit holds items best seen in person, like the lock of Dickinson’s bright auburn hair she once sent to a friend. On one poem manuscript, Dickinson has attached cutouts from Harper’s Magazine—bearing the names Georges Sand and Mauprat—to the page using a stamp with a train on it. With an item such as that, it is hard to believe that transcriptions, which omit that detail, are adequate. The exhibit, like any scholarly endeavor, attempts to redefine Dickinson. This one, specifically, aims to do away with the image of the timid and fragile recluse and instead present her as “a networked recluse.” (Two of her closest correspondents, after all, were the abolitionist T.W. Higginson and Native American rights activist Helen Hunt Jackson.) Yet whatever editorial line the exhibit has, the manuscripts and items get the chance to speak for themselves, curated but unedited. There is context provided, and the curators carefully chose each item, as well as the side to display of each manuscript (or whether to display both sides). But the manuscripts themselves remain unaltered, the very papers which Dickinson held in her hands. They are closer to those hands than to the myths, the interpretations, the controversies, and the transcriptions—leaving only material she inscribed with lead or ink. Clare Jamieson is a Columbia College sophomore studying Comparative Literature & Society.